Be at the forefront of the newest frontiers and immerse yourself in high-growth financial technology innovations, global market developments and alternative investing opportunities at VanFUNDING 2018: CONVERGE (#VF2018), taking place Nov. 29-30, 2018, at the JW Marriott Parq Vancouver in Vancouver, B.C. This expanded, fourth-annual leading fintech and capital conference will explore the explosive growth currently happening relative to blockchain, AI, fintech and funding innovations, global market developments and alternative investing opportunities. #VF2018 is presented by the National Crowdfunding & Fintech Association of Canada (NCFA) and its partners and will provide world-class education, funding and networking opportunities delivered through keynote addresses, TEDx-style presentations, panels, workshops, executive round tables, investor pitching, meeting exchanges and mentoring. Topics presented will include fintech, blockchain, crypto, artificial intelligence, crowd and distributed finance, regtech, payments, open and digital banking, identity and security, international trade, alternative investing and innovation finance—all discussed from a diverse range of perspectives, including emerging technologies, investment, regulation, Canadian competitiveness, global innovation and humanity. data-mce-type=”bookmark” class=”mce_SELRES_start”>﻿</span> The theme of this year’s conference, CONVERGE, centers around immersion and building bridges to connect today’s most disruptive emerging technologies, capital market innovations and key stakeholders that are powering new global markets, new decentralized models, new forms of computer intelligence, new IP, new infrastructure and new alternative investment opportunities that encapsulate the vision of a Web 3.0. The convergence, decentralization and digital transformation of financial technologies are accelerating rapidly throughout the world and impacting the future of finance and society at all levels; no one can afford to sit on the sidelines. As NCFA CEO, Craig Asano states, “We are witnessing unprecedented change that is already affecting our daily lives — how we interact with financial services, generate digital wealth, invest, evaluate, consume, vote, store, transfer, and purchase anything of value.” With this in mind, it is clear that the need for comprehensive, educational fintech events has never been higher. No fintech innovator, investment professional, company actively raising capital or key decision maker/stakeholder in technology and digital finance should miss #VF2018. The world’s standout fintech leaders, investors and emerging innovators will be in attendance along with policy makers and representatives from government regulatory bodies, all of whom have an eye on the future of finance. VanFUNDING 2018 is a not to be missed BLOCKCHAIN, FINTECH & FUNDING INNOVATION and ALT INVESTING conference that features high growth emerging technologies, regulations, game changing projects, the latest trends, deal flow, and investment opportunities. VF2018 brings markets to life with authentic dialogues and engaging stories that educate, inspire and resonate with innovative start-ups, scale-ups, investors, service providers, thought leaders, policy makers and financial institutions who are leading the next generation of finance. Connect with leading experts and learn how to build, buy or sell in Canada’s innovation finance markets. VANCOUVER, BC / ACCESSWIRE / November 15, 2018 / VanFUNDING 2018: CONVERGE, an annual innovation, technology and capital event organized by the National Crowdfunding and FinTech Association (NCFA), will take place in Vancouver on November 29-30 at Parq Vancouver. The event showcases leading technologies and experts in blockchain, fintech, artificial intelligence and alternative finance that are making an impact on Canada, the capital markets and the world. The event will feature over 50 speakers including Monique Morden, CEO of Judi.ai; Brady Fletcher, Managing Director, TSX Venture Exchange at TMX Group; Toufi Saliba, CEO of Toda.Network; Mark Wang, Director of Capital Market Regulation, BC Securities Commission; Paul Schulte, Managing Editor, Schulte Research; Rojin Nair, General Manager Fintech Solutions for Celero and more. The event will also feature its annual pitching program that will award three “Front of the Line”Dragon’s Den Golden Tickets and other prizes to the winning startups. Startups selected to pitch include Flux Network, Capiche Capital Technologies, Very Good Butcher, Squamish Canyon, Drive Hockey, Veme, Moca Estimator, Symend and HeyBryan. This year’s theme, CONVERGE, immerses participants in content covering new capital market innovation, decentralized models, computer intelligence, infrastructure, alternative investment opportunities and the evolution of the ICO and security token offering (STO). ”The ICO market has shifted towards securitized token offerings and we are pleased to be at the forefront of this change and enabling a true security token standard with Etherparty, which offers AML KYC controls on assets that are issued from financial institutions or companies looking to raise funds through equity financing,” said Lisa Cheng, Founder and Head of R&D for Vanbex Group. 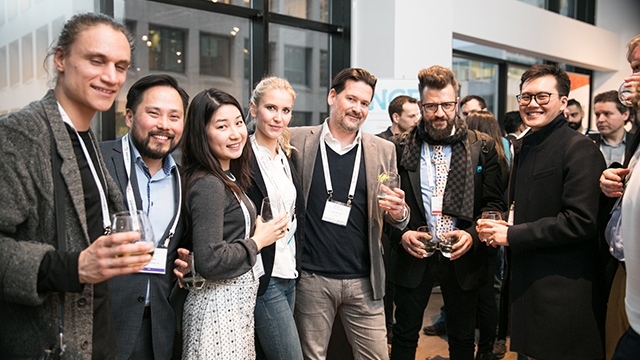 VanFUNDING wouldn’t be possible without the generous support of The National Crowdfunding & Fintech Association of Canada (NCFA), Toda.Network, Judi.ai, Vanbex Group, Northern Block, FrontFundr, REITIUM, FintruX, Holt Accelerator, TIMIA Capital, JJ Human Capital, Schulte Research and more. The National Crowdfunding & Fintech Association (NCFA) is a financial innovation ecosystem that provides education, market intelligence, industry stewardship, networking and funding opportunities and services to thousands of community members and works closely with industry, government, partners and affiliates to create a vibrant and innovative fintech and funding industry in Canada. Decentralized and distributed, NCFA is engaged with global stakeholders and helps incubate projects and investment in fintech, alternative finance, crowdfunding, peer-to-peer finance, payments, digital assets and tokens, blockchain, cryptocurrency, regtech, and insurtech sectors. Learn more About Us or visit www.ncfacanada.org. NEW YORK, Nov. 15, 2018 (GLOBE NEWSWIRE) — via NetworkWire — NetworkNewsWire (“NNW”), a multifaceted financial news and publishing company, today announces its participation in the upcoming VanFUNDING 2018: CONVERGE (#VF2018) conference, taking place Nov. 29-30, 2018, at the JW Marriott Parq Vancouver in Vancouver, B.C. NetworkNewsWire is the official social media sponsor of this leading fintech and capital conference, which will explore the explosive growth currently happening relative to blockchain, AI, fintech and funding innovations, global market developments and alternative investing opportunities. As part of its sponsorship, NNW is featuring VanFUNDING 2018 on its website and the website of its sister brand CryptoCurrencyWire. NNW is also providing a summary profile for each conference partner and disseminating these profiles through its many social channels and robust editorial syndication network with 5000+ outlets to help expand the reach of the event’s sponsors beyond the conference halls. The theme of the expanded, fourth annual VanFUNDING conference is “CONVERGE,” which centers on immersion and building bridges to connect today’s most disruptive emerging technologies, capital market innovations and key stakeholders that are powering new global markets, new decentralized models, new forms of computer intelligence, new IP, new infrastructure and new alternative investment opportunities that encapsulate the vision of a Web 3.0. The conference is a not-to-be-missed event for any fintech innovator, investment professional, company actively raising capital and key decision maker/stakeholder in technology and digital finance. The world’s premier fintech leaders, investors and emerging innovators will be in attendance, as will policymakers and representatives from government regulatory bodies with an eye on the future of finance. For more information about VanFUNDING 2018: CONVERGE, visit https://vanfunding.com. NetworkNewsWire (NNW) is a financial news and content distribution company that provides (1) access to a network of wire services via NetworkWire to reach all target markets, industries and demographics in the most effective manner possible, (2) article and editorial syndication to 5,000+ news outlets (3), enhanced press release services to ensure maximum impact, (4) social media distribution via the Investor Brand Network (IBN) to nearly 2 million followers, (5) a full array of corporate communications solutions, and (6) a total news coverage solution with NNW Prime. As a multifaceted organization with an extensive team of contributing journalists and writers, NNW is uniquely positioned to best serve private and public companies that desire to reach a wide audience of investors, consumers, journalists and the general public. By cutting through the overload of information in today’s market, NNW brings its clients unparalleled visibility, recognition and brand awareness. NNW is where news, content and information converge. For more information, please visit https://www.NetworkNewsWire.com. VanFUNDING 2018 is a not-to-be missed BLOCKCHAIN, FINTECH & FUNDING INNOVATION and ALT INVESTING conference that features high growth emerging technologies, regulations, game changing projects, the latest trends, deal flow, and investment opportunities. VF2018 brings markets to life with authentic dialogues and engaging stories that educate, inspire and resonate with innovative start-ups, scale-ups, investors, service providers, thought leaders, policy makers and financial institutions who are leading the next generation of finance. Connect with leading experts and learn how to build, buy or sell in Canada’s innovation finance markets. For more information, please visit: https://vanfunding.com. The National Crowdfunding & Fintech Association (NCFA) is a financial innovation ecosystem that provides education, market intelligence, industry stewardship, networking and funding opportunities and services to thousands of community members and works closely with industry, government, partners and affiliates to create a vibrant and innovative fintech and funding industry in Canada. Decentralized and distributed, NCFA is engaged with global stakeholders and helps incubate projects and investment in fintech, alternative finance, crowdfunding, peer-to-peer finance, payments, digital assets and tokens, blockchain, cryptocurrency, regtech, and insurtech sectors. Join Canada’s Fintech & Funding Community today FREE! Or become a contributing member and get perks. For more information, please visit: www.ncfacanada.org. The 2018 VanFUNDING Conference comes at a perfect time for investors and enthusiasts alike to dive into the vast world of fintech, blockchain, artificial intelligence, digital banking, and much more. Held at Parq Vancouver from November 29-30, this event promises to be the epitome of innovation and knowledge. The VanFUNDING 2018 Vancouver Conference comes at a perfect time for investors and capital market participants to learn more about these burgeoning technologies, which together make up the future of finance and other key industries in our modern world. Apart from the major news that we have heard about blockchain, the advancement of AI projects has been paramount in efforts to further automate work processes and mitigate human error and oversight. With the power to improve fraud detection, enhance financial management, and generate unique trading strategies through historical data observation, the potential here is limitless. In order to provide a holistic analysis of these emergent technologies, #VF2018 will boast workshops, presentations, and mentorship opportunities to encompass the breadth and depth of knowledge these essential topics necessitate. The focus of the conference will be to provide immersive educational content, highlighted by over 50 expert speakers and abundant networking possibilities for attendees, while also providing a pitching platform for emerging players to connect with investors and scale their profile. Toufi Saliba, CEO, TODA Network is a pillar in industry helping blockchain technologies achieve massive scale. In addition to helping companies understand the best practices of raising capital in public and private markets, the conference will also build bridges between these technologies that are empowering our markets. For instance, what are the key connections between blockchain and AI? How can FinTech utilize blockchain to overhaul obsolete banking systems? How can blockchain make our payments and wealth more secure? What are the technical impediments to mass adoption? These are just a few of the pertinent questions #VF2018 will set out to address. To echo and expand on Saliba’s thoughts, over 1,200 blockchain patent applications were filed in 2017, up from 594 in 2016 — many of these applications were submitted by blue-chip financial institutions like Bank of America, Goldman Sachs, and others. Overall, #VF2018 is set up to be a tremendously apropos event for the modern world. The global fintech realm continues to experience disruption on a daily basis via modern technologies such as blockchain and AI. The innovations of today could become antiquated as soon as tomorrow, given the rate at which these technologies are evolving. As such, the demand for immersive, educational content that examines these emerging technologies and their future outlook has skyrocketed. Events such as #VF2018 are essentially acting as a portal into the future, where attendees can stay ahead of the curve to pragmatically anticipate what tomorrow will bring. To get tickets to this event, click here. FintruX Network is the true P2P lending ecosystem built on the blockchain, powered by credit enhancements and no-code generation. The platform makes it easy for borrowers to connect with reputable lenders and servicing agencies, save money with competitive interest rates, and get an affordable loan within minutes in a fair and transparent process without physical collateral. FintruX Network aims to disrupt the way unsecured loans are being originated and administered, making unsecured loans highly secure. An unsecured loan is a loan that is not protected or secured by any asset. In this case the lender is taking a lot more risk and would likely charge a higher interest rate. The riskier the loan, the more expensive it will be. We are going to change that. While pursuing traditional financing, small businesses do not have access to loans when they most need it. Banks prefer to lend cash on cash, and the loan amounts requested are usually too small for financial institutions to do efficiently. If a loan is procured from alternative financing sources, the interest rate is generally too high. Finance companies only utilize a few data sets to evaluate SME borrower worthiness resulting in poor representation of credit, and traditional p2p lenders offer high interest rates due to private equity backing. Additionally, capital that could have been invested in small business credit has been largely locked out of the market. Individual investors generally lack the size and access to directly invest in small business credit, and while institutional investors have had some access to this market, they lack the tools to customize portfolios to their specific risk tolerance. FintruX Network is comprised by a dynamic team of skilled professionals in strategy, commercial lending, operations, marketing, sales, and technology. Our technology is supported by Robocoder Corporation, which has over 20 years of enterprise software development experience. The technology team has been servicing the securitization industry in Canada since 1999, and is currently managing billions of dollars of assets for reputable banks and insurance companies. Our team is complimented with advisors and directors ranging from esteemed individuals who have held prominent positions such as managing director of Dun and Bradstreet Asia, and director of TNG Asia, chairman of the ELFA in USA, to leaders at various fortune 500 companies in the telecom, banking, and technology sectors. We leverage our extensive expertise and technology to create an ecosystem of lenders, borrowers, and service agencies operating in a true peer-to-peer marketplace to reduce the friction of small business (SME) lending. Our platform makes unsecured financing easy, fast, and highly secure with credit enhancements, no-code generation, and an open ecosystem.